The Student Activities Department is a clearinghouse for all student activities and information at High School North. Students and families can visit our website or our bulletin board to get information on a club/ activity (event, fundraiser, meeting date, etc.) or get caught up on the morning announcements. Check out our school event and class meeting calendar. Chart your course by getting involved in one of our many extra-curricular activities. Need assistance in your classes? Check out what TRN offers. Get in touch with club advisors and other important people. 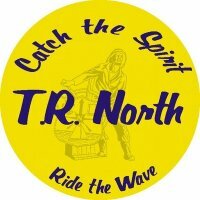 A current list of all fundraising going on at TRN.